Most of my client are business-to-business (B2B) companies. They make things — mainly software — that help other businesses perform more effectively. Some of my clients want to emulate the “flashier”, “sexier” communications of the business-to-consumer (B2C) world. They ask, “Why can’t we be cool like the consumer companies are?” My answer is that they can be totally cool but they have to remember the differences between B2B and B2C branding. A B2C company can deliver emotional, product-centric messages. While a B2B company can also play on emotions, it needs to do more. It also needs to deliver a logical, financial message and many more company-centric messages. B2B requires a more complicated branding strategy. 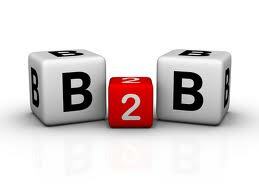 The first big difference between B2B and B2C is when the benefit is delivered. In the B2C world, the benefit is often delivered at the same time as the purchase decision. You buy a soft drink (purchase decision), you drink it, and you immediately get the benefit (sugar high). In the B2B world, on the other hand, the benefit is often delivered months after the purchase decision. That’s certainly true in enterprise software. Your messaging still needs to convince the buyer that the product is right. But it also needs to convince the buyer that your company will effectively deliver the benefit many months later. Thus, you need far more company-centric messages than a B2C company would. The second big difference is the number of decision makers. In B2C, it’s often one person. I don’t need to call a committee meeting to buy a soft drink. In B2B, on the other hand, many buyers get involved. Years ago, I learned a “buying influence” model originated by the Miller Heiman consulting group. According to Miller Heiman, there are three buying influences: the user buyer, the technical buyer, and the financial buyer. In the B2B world you need specific message for each group. To learn about these messages, take a look at the video. I completely agree but why then do so many B2B companies (the C level team in particular) still persistent in the belief that their product – which probably does exactly the same as their competitors product – should continue to represent the manifestation of their brand communications. I think it’s obvious — they need to hire someone named Trevor or Travis to run their marketing programs.